Shruti Haasan is a Well Known Graceful Indian Actress. She is an excellent Singer, Actress, Model and Music Composer. Shruti Haasan has proved herself Perfect for each Field. She is not only Extremely Beautiful but equally Talented as well. Everything about Shruti Haasan is so Elegant, resulting in a Huge Fan Following. She has a Really Stunning Personality and is a Huge Inspiration for Indian Actresses. Shruti Haasan is among the New Faces in Bollywood Industry but has Gained Instant Fame by her Impressive Performances. Shruti Hassan was born on January 28,1986 in Chennai, India. She is the daughter of Noted Actors Kamal Haasan and Sarika Thakur. She has a younger talented sister Akshara Haasan who is the representative of India in Ballroom Latin Dancing. Initialy Shruti Haasan started her career as a Singer but later on she became an Actress. She has worked in Tamil, Telugu and Hindi films. She studied at Abacus Montessori School, Chennai and St. Andrew’s College, Mumbai. Shruti has done her Graduation in Psychology. 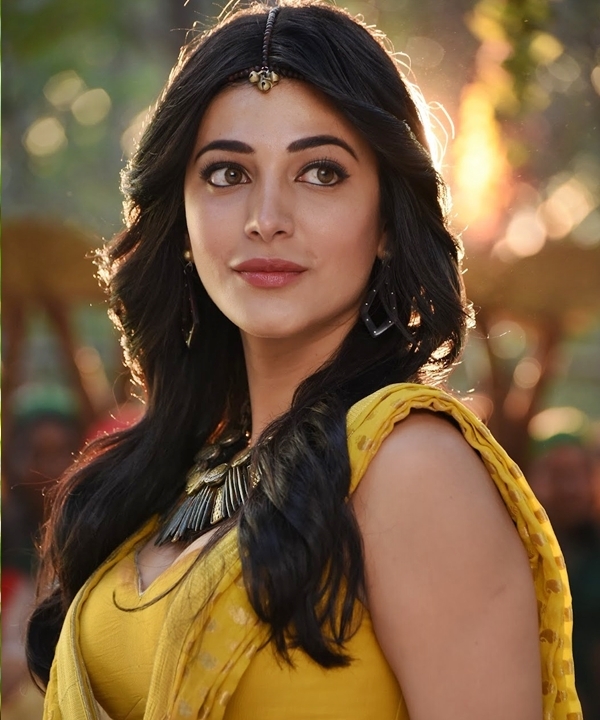 Shruti Haasan has complete Command over 8 Different Languages. In her Childhood, Shruti kept her name Secret from her Friends so that they might not Treat her as a Celebrity’s Daughter. She changed her name to Pooja Ramachandran. Shruti Haasan is Obsessed with Shoes. She has a Huge Collection of Shoes, and is always in Search of New Pairs. Shruti has a Weird Liking of Tele-Shopping Commercials and Often Watch those Commercials on TV when she has Nothing Else to do. After succeeding in the field of Singing, she got a chance in Modeling because of her Attractive Looks. Her first appearance was in Frappe Magazine in September 2007. Later she began to model for the famous magazine Verve. Shruti started singing at the age of Six in her father’s film Thevar Magan. Later she made her first debut in a Hindi film Chachi 420 directed by her father. She sang her second song in film Hey Ram named Rama Rama. This song was recorded in Tamil and Hindi languages. Her album was released in 2009 that was composed, written and sung by her. Shruti Haasan is impressively Multi-Talented. She is an Amazing & Well-Trained Dancer. Shruti Haasan has composed the music of Tamil film Unnaipol Oruvan that is the remake of a very successful Hindi film “Wednesday”. She has also been the vocalist of a Rock Band named as The Extramentals. Shruti Haasan’s first debut was in 2000 in Hey Ram in which she acted with her father. She has also appeared as the daughter of Vallabhai Patel in the biopic of Mahatama Gandhi. She has acted in enormous Tamil and Telugu movies and was declared as the Most Desirable Woman. Her first Bollywood movie was Luck in 2009. Till then she has performed in many successful films like Gabbar Singh, Balupu, Yevadu, Race Gurram and Srimanthudu. She has learned 8 Languages and can speak and act in all. This makes her unique and talented as well. In short, Shruti Haasan has proved her excellence in every Field. She has the beauty and talent to perform well in every field. Still its the start of her Career but she will reach many milestones of Success very soon. She is a True Example of Hard-work and Dedication.